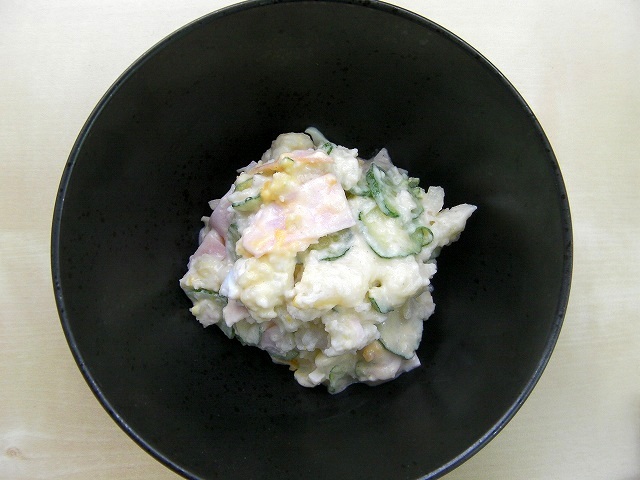 It is a Japanese potato salad recipe.Japanese potato salad recipe is mash a potato.And I add mayonnaise.The Japanese likes this potato salad very much.Though it is salad, there is the person eating in main dish.I sometimes eat in main dish, too. 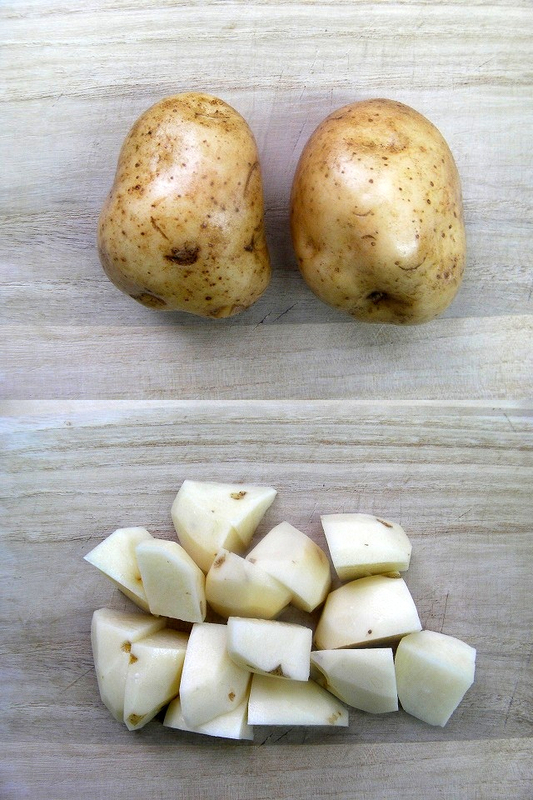 Peel the potato and cut it into bite-size pieces. 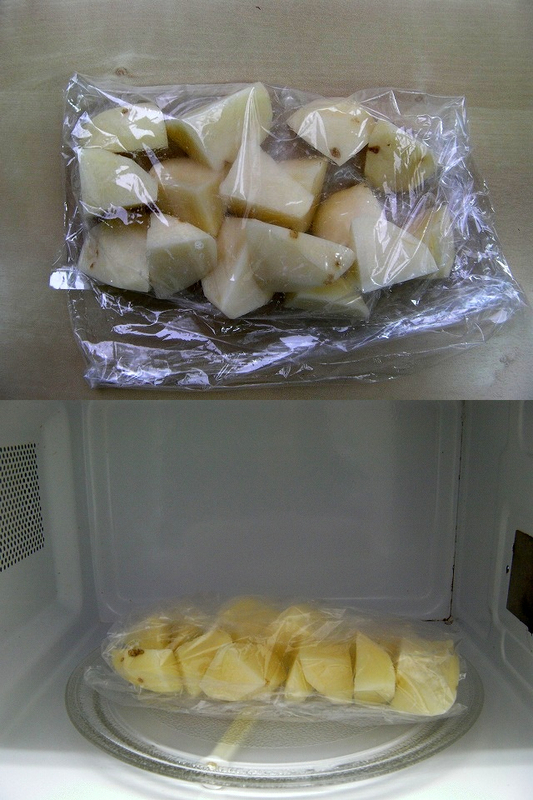 Put the potato which cut in a plastic bag and heat it in a microwave for 2 minutes at 600w. 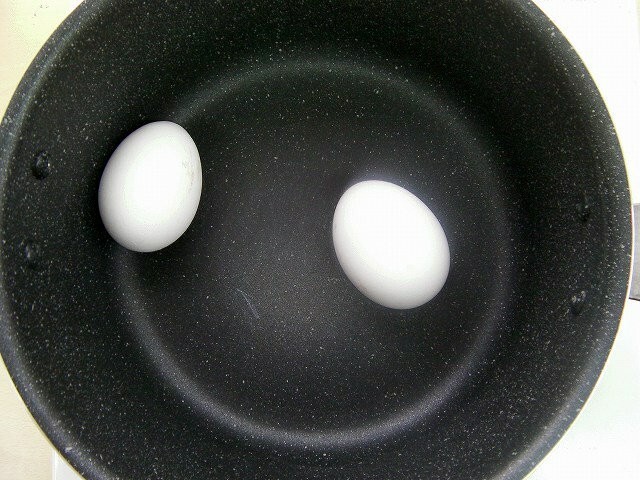 Add an egg to boiling hot water. boil it at medium heat for 11 minutes. 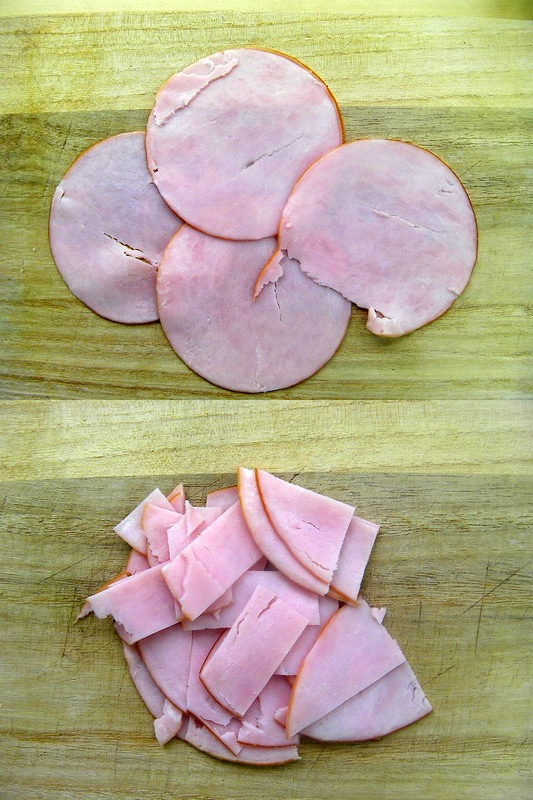 Cut the ham into 0.4 inch wide strips. 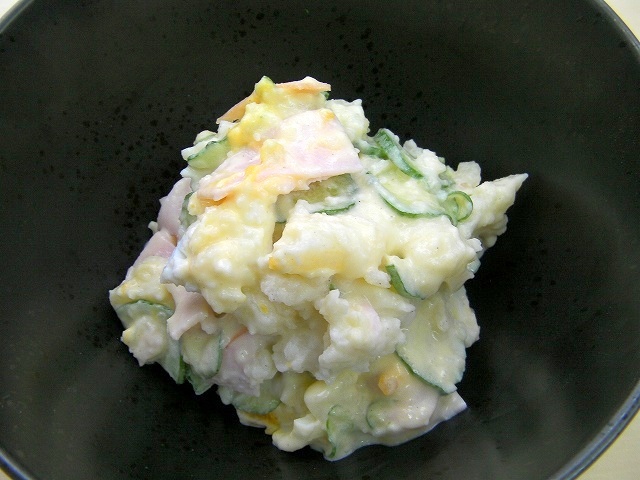 Place hot potato in a bowl and add salad oil,salt,peppr,vinegar.Mash the potato and cool it to normal temperature. 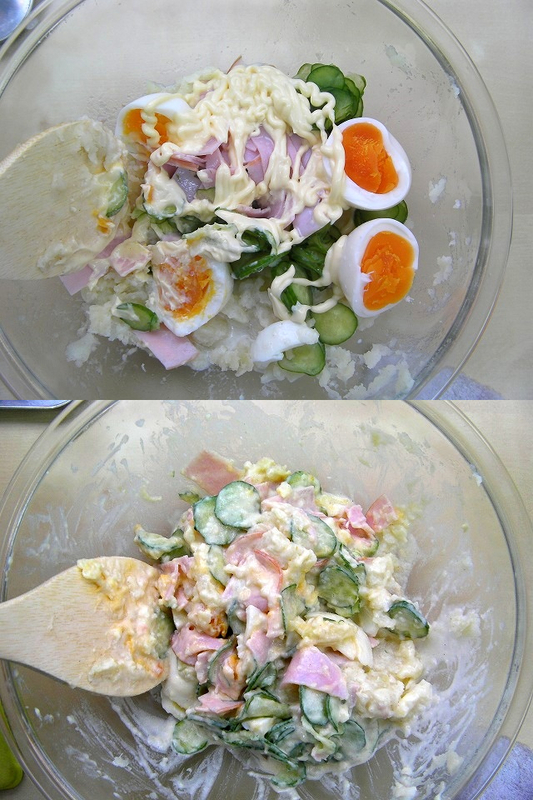 When it cooled down, add the egg which peeled a husk,hams,cucumber,mayonnaise,milk,sugar.Mix it. Let taste be familiar while a potato is hot.